The Crustacean C.A.R.E. Coalition Sister Site program employs a membership process that includes an application and final web site review. Approved sites are referred to as Sister Sites. Sites will be given a graphic to display on their website that immediately identifies them as a reliable source. The CCC adheres to a Code of Ethics. Sites who do not conform with the CCC requirements or violate our Code of Ethics will be expelled from the program. This process is governed by all members of the CCC. Originally the new Sister Sites brought specific aspects of C.A.R.E. to the CCC program. Each had a unique and specific missions that supported at least one component of C.A.R.E. Today there is overlap that occurs naturally between Sister Sites, as we all have the same mission which is to provide up to date and accurate information. Apply -To become a Sister Site and join the Crustacean Care Coalition, fill out the form below. Listed on LHCOS/CSJ, SS graphic will be sent, links to other SS (with images if applicable) will be sent. 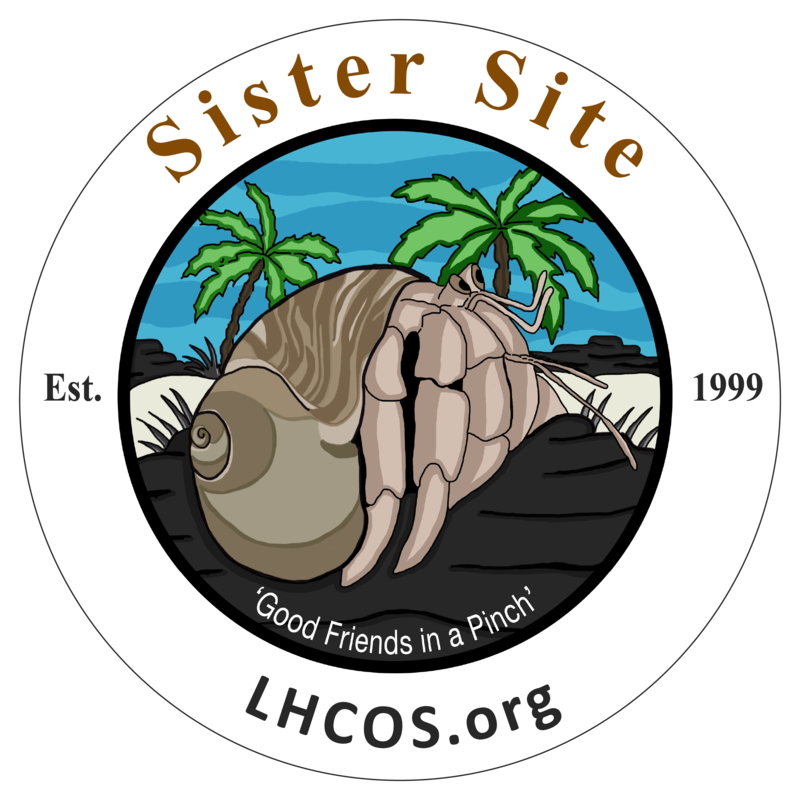 If your site is approved you will be listed on the CSJ & LHCOS sites as a Sister Site. Sister Sites are required to place a link back to CSJ & LHCOS on your front page. Sister Sites are encourage but not required to put up link backs to the other Sister Site/CCC members. 9. The site must work cooperatively and actively with other SS members. 10. The site must not claim others work as their own. 11. The site must not display others work without their permission or proper credit. Member sites will actively collarborate with other sites to further the mission of CCC. Member sites will, at minimum, display or link to the LHCOS Basic Caresheet. Members will use the LHCOS Basic Caresheet as the foundation for any additional care information available on their site. Members will support, promote and generally work in a positive manner with each other. Ongoing compliance and participation is expected.